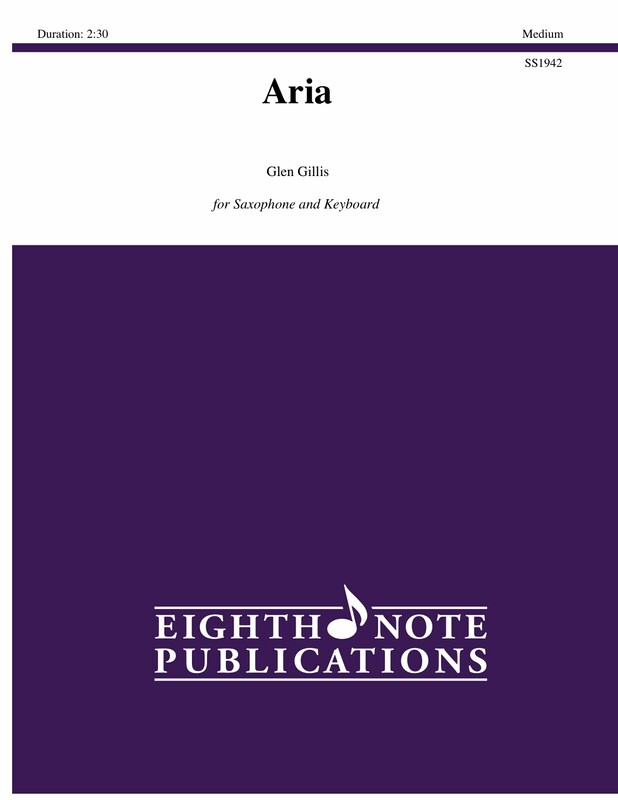 Aria for saxophone and piano is taken from the slow lyrical section of Glen Gillis larger work, Fantasia. The piece has a key center of D minor with a 4-bar phrase structure metered in 4/4 with episodes of 5/4 inserted to elongate the phrases. This lyrical work has slow marked tempo but the phrases should have a degree of elasticity for the saxophonist to express this modal aria.